A group of young children were siting in a circle with their teacher. She was going around in turn asking them all questions. "Davy, what noise does a cow make?" "It goes moo." "Alice, what noise does a cat make?" "It goes meow." "Jamie, what sound does a lamb make?" "It goes baaa." 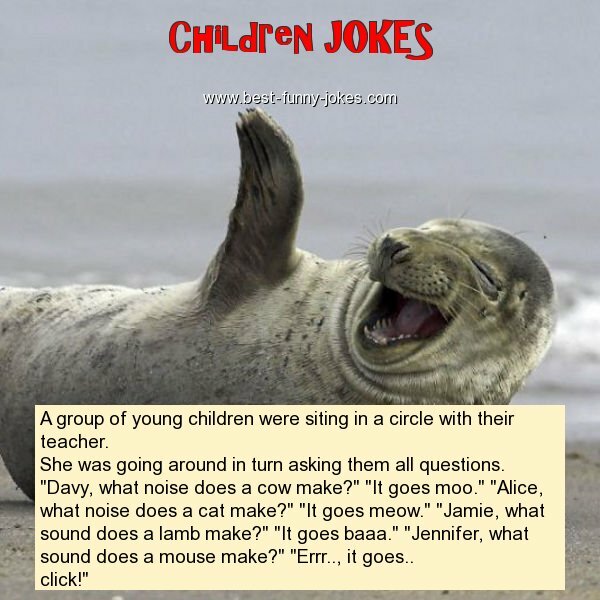 "Jennifer, what sound does a mouse make?" "Errr.., it goes..